As we face threats from climate change, alternative energy sources are becoming more important and advanced. 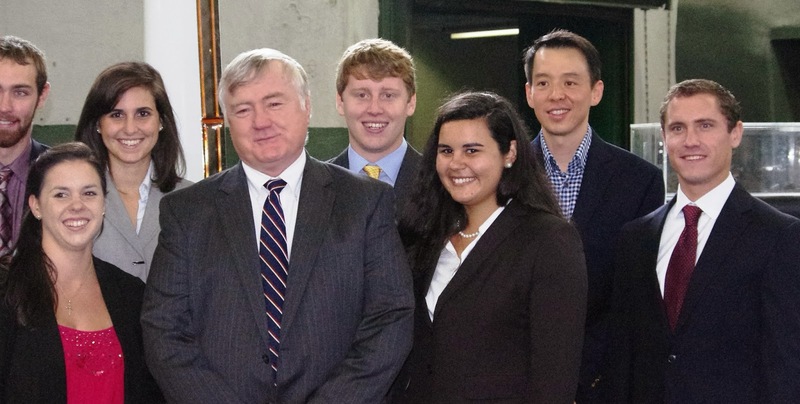 Rhode Island is taking the lead with the Block Island Wind Farm, a project that has involved University of Rhode Island students and professors from the beginning. Now the public can find out what they’ve learned. URI’s Graduate School of Oceanography is sponsoring a discussion about the project’s history, challenges and effect on the marine environment. The talk—part of the student-led “Bay Informed Discussion Series”—will start at 7 p.m., Thursday, Sept. 21 in the Watkins building on the Bay campus, 215 South Ferry Road, Narragansett. The event is free. The speakers will be Chris O’Reilly, a doctoral student in ocean engineering who works with Professor Stephan Grilli and Monique LaFrance-Bartley, who works with Professor John King in geological oceanography. O’Reilly, who completed his master’s thesis on the wind farm, is expected to talk about the possibility of building wind farms in other parts of the country and world, and the challenges of building an offshore wind farm, including efforts to find the best location for the turbines. at maritime design firm Navatek in Peacedale. Bartley-LaFrance will follow with a discussion about the Rhode Island Ocean Special Area Management Plan—a guide for the state’s coast and waters—and whether the marine ecosystem has changed since the installation of the wind farm. The purpose of the monthly series is to inform the public about important environmental and scientific issues involving the ocean and encourage residents to get involved in these issues locally and nationally. So far, up to 100 people have attended each talk, which have included topics such as climate change and carbon levels in the ocean. They will be held every Thursday at the same time and place.